Our Best Answer - How can I make a housing payment? 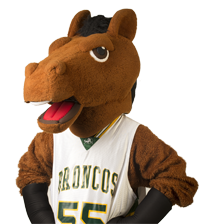 All housing payments can be made through your BroncoDirect. You may also walk in, call in, or mail in your payment to the Cashier’s Office. If you pay with a check, remember to make it payable to Cal Poly Pomona, and be sure to write your Bronco ID Number on the check. Also, indicate your payment is for your University Housing Services fees. How can I find out the deadlines for my housing payments? Will my Financial Aid pay for housing?